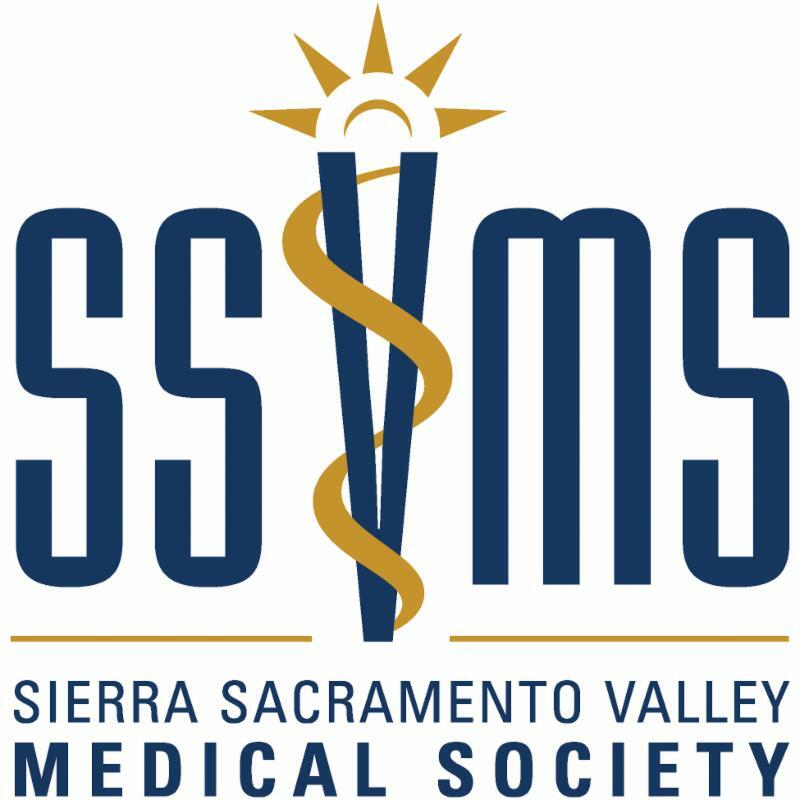 SSVMS Medical Society News is a monthly e-bulletin from the Sierra Sacramento Valley Medical Society (SSVMS) containing up-to-date information and breaking news on issues impacting physicians practicing in El Dorado, Sacramento and Yolo counties. 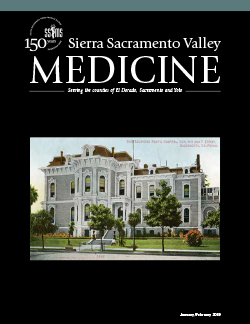 To receive your free subscription, contact SSVMS at (916) 452-2671 or info@ssvms.org. I hope you will join us for the inaugural SSVMS Honors Medicine event on Thursday, February 28, 2019 at the Tsakopoulos Library Galleria from 6:00pm-8:30pm. Our annual dinner has been re-imagined to better reflect our objectives of increasing access to healthcare, improving health outcomes, providing mental health advocacy, supporting physician wellness and building the future of healthcare. The event will be an evening of food, wine and entertainment as SSVMS honors the award recipients of the Golden Stethoscope (Denise Satterfield, MD), Medical Honor (David Herbert, MD), and Medical Community Service (Society For The Blind). Proceeds from the event will benefit SSVMS' Community Programs. 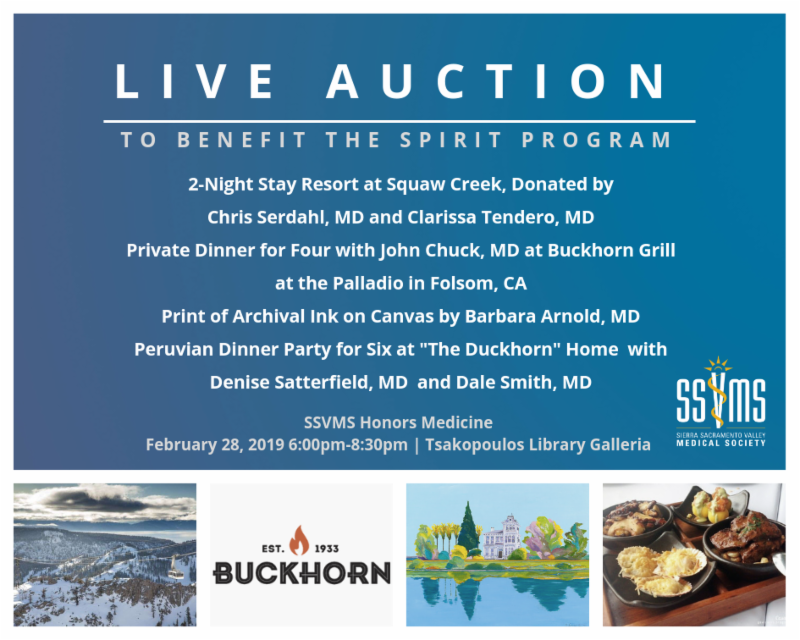 In addition to a live auction, a unique raffle will be held to benefit the SSVMS Medical Student Scholarship Fund. You may already know that I am a huge believer in humor. 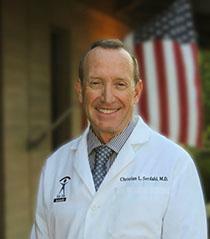 The SSVMS Honors Medicine event will feature comedian Jack Gallagher. I would like to personally invite you to spend an evening laughing with the SSVMS Community, since we all know laughter is the best medicine. I look forward to seeing everyone at SSVMS Honors Medicine! RSVP to SSVMS Honors Medicine! Enjoy a monthly date night to a local restaurant or activity and help support a medical student who graduated from a local high school in Sacramento, Yolo or El Dorado Counties. You Care for Patients. We Care For You! *Not all resources and discounts are available to non-member physicians. Thursday, February 7, 2019, 10am-12pm, Sacramento, CA. Wednesday, March 27, 2019, Folsom, CA. Save the Date! SSVMS & Fresno Madera Medical Society CME Rome to Venice Cruise! CMA Webinars are no cost for members. Click here to explore on-demand webinars. Thursday, March 28, 2019, 5:00pm-9:00pm, Sacramento, CA. SSVMS' Vetted Vendors are dedicated to offering special services to SSVMS members on various products and services designed to accommodate the business needs of physicians. Throughout Mela's 15 years of experience as a Real Estate Broker, she has developed a reputation for having exceptional local knowledge, a high level of service, superior results and utmost integrity. 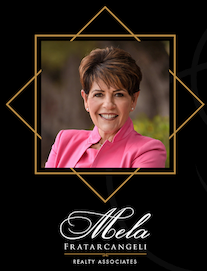 Mela is consistently ranked in the top 5% of all real estate agents in the Sacramento Valley serving the buyers and sellers at all levels in Sacramento, Roseville, Rocklin, Loomis, Auburn, Granite Bay, El Dorado Hills and Folsom. Additionally, Mela will make a donation to the Joy of Medicine Program for each home purchased or sold for physician members. To access this resource, contact Megan Sharpe, Physician Relations Manager, at (916) 452-2671 or msharpe@ssvms.org.